Our initial ideas stemmed from how people leading sustainable lifestyles have to rely on multiple sources for their grocery purchases. We derived inspiration from our research, about food waste and fresh produce and combined it with these technology experiences. It was challenging to narrow down this initial concept at first, but we agreed to focus on designing for a green house grocery store. ‘Grow’, our greenhouse grocery store, aims to build a community around sustainable food practices and help customers lead healthier, greener lives. I was responsible for designing the form of the physical prototypes. I also contributed to the overall research, synthesis, ideation, storyboarding and creative+strategic thinking. Additionally, I helped my peers with business and systems thinking and guided the construction of the final service prototype. Most of our research comprised of secondary resources since we decided to work on a retail service experience that doesn’t exist yet. We referenced examples online such as Tesco Homeplus Virtual Subway Store in South Korea and Amazon’s Amazon Go in Seattle. We also visited ‘Whole Foods’ to understand their service ecosystem. We were also interested to know more about their view on ‘farm-to-table’ concept. Most customers we spoke to were keen on buying fresh produce from farms and are conscious of what food they intake on a daily basis. "Creating more access to sustainable food networks." Our service focuses on discovering more sustainable methods for the way we produce, distribute, consume and dispose of fruits and vegetables in the environment. 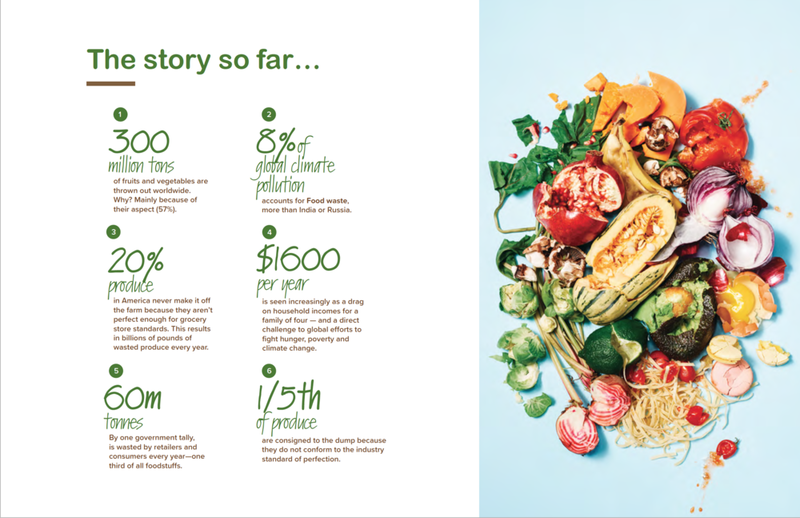 In an ever-evolving world, our service will present a fresh perspective on sustainability and food waste and create a community of culinary professionals and food lovers. What’s more, we’ll give you the tools to incorporate our shared vision into your daily practices. Come, handpick your fresh produce with us, cook with us and relish the bountiful gifts of nature. With this vision in mind, we attempted to visualize the space. Our fly-on-the-wall observations furthered our understanding of how customers navigate through a grocery store, which we were able to iterate and prototype with the below Business Origami exercise. We kept iterating and changing the layout format as and when required. This helped us understand the flow and the main areas that we could focus on for our final prototype. Interestingly, there were several touch points within the ecosystem of our service, and the business origami helped us visualize the space and the touch points quite accurately. The next step was to narrow down on the touch points central to a customer’s experience at ‘Grow’. 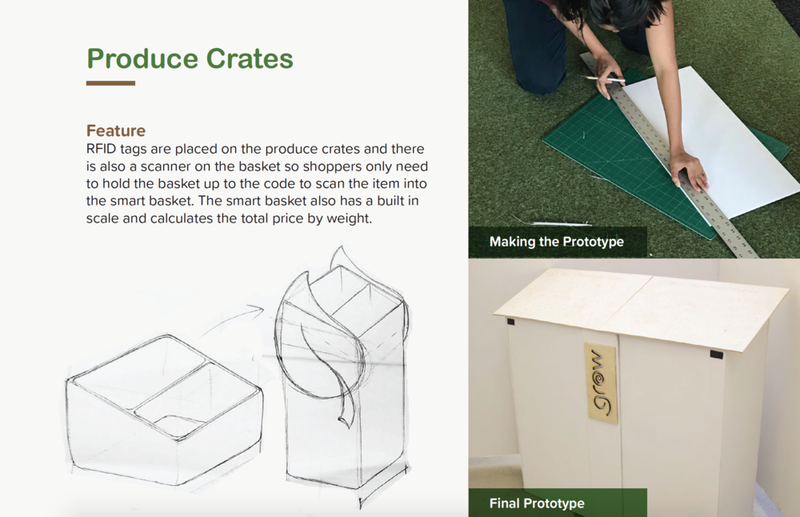 The three touch points that we decided to build prototypes for are the Smart Basket, the Produce Crates and the Checkout Kiosk. This project was exciting as well as challenging. Our key learning has been of not being afraid to make prototypes at a larger scale. It was fun to prototype the space using the origami tool as well.